When Star Trek first hit the airwaves, there was nothing like it on television. Sure, they had shows about aliens in space but until Gene Roddenberry’s creation, no one had envisioned a future for humanity based upon the principles of equality. Star Trek’s first episode aired on September 8, 1966 right in the midst of the civil rights movements while cold war tensions were running high. In this time of great turbulence and social upheaval it would have been far easier to picture a dystopian future for humanity rather than a global government where all people and cultures are united in a common purpose. Roddenberry dared to dream that the better angels of our nature would assert itself and present a far more hopeful future for humanity, one where a Black woman, a Japanese man, a Russian and an alien from Vulcan could all serve on the bridge of the same ship. One where they would sacrifice for each other and form a bond of friendship so strong that it would last all the days of their lives. This is the world that Roddenberry created and it is without doubt beautiful. Like many fans, I’ve been waiting for Star Trek to return to television since the cancellation of Enterprise. Sure we’ve had movies for the first time in a long time but they seemed to play more to special effects than the heart of the Star Trek franchise. And yes, I blame J. J. Abrams, just as any loyal Trekkie would. 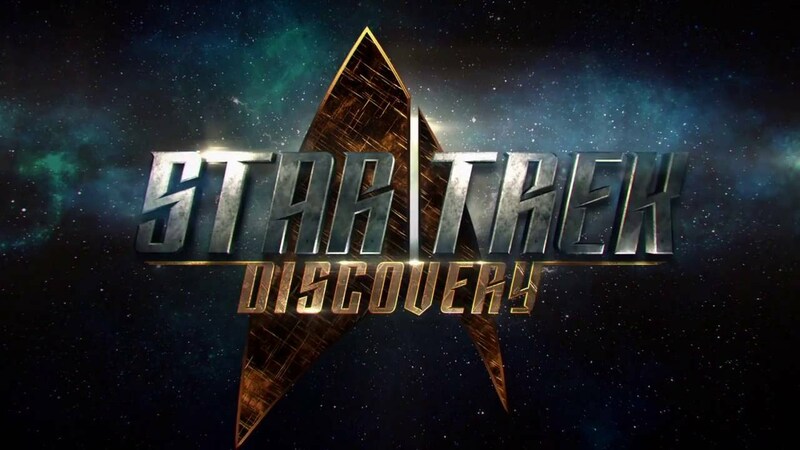 Star Trek Discovery promises a return to the Roddenberry’s vision with Star Trek introducing its first gay character (which is reported as something Gene Roddenberry did want even if the franchise has grossly and shamefully erased LGBT people up until this very belated moment). Michelle Yeoh is the first Asian-American captain and the second female captain and Sonequa Martin-Green is the first female African-American first officer. This new Star Trek looks like North America because it reflects its diversity. Unlike many shows which are content to white wash, straight wash and simply erase, Star Trek Discovery is placing marginalised people front and center because without diversity, there is no Star Trek. Unfortunately there are those who claim to be Trekkies but seem to have conveniently forgotten Roddenberry’s original vision. The news of two women of colour leading the charge - one of them with a non-American accent - has brought out a rash of white male fragility. How can humanity possibly function in space without a white male leading the charge? Are we really supposed to believe that women of colour could be competent or have the strength of will to make the hard decisions? Yes, all of this is possible and so much more. In Roddenberry’s vision, neither gender nor race were factors which would have limited someone’s potential. And those who object so strenuously to Michelle Yeoh’s accent have clearly forgotten Chekhov. Anthony Rapp plays Lt. Stamets (which has the added bonus of being one of the few times we actually have a gay man play a gay character), an “astromycologist,” fungus expert, and Starfleet Science Officer aboard the Starship Discovery. Stamets’s Whiteness cannot be denied but because of his sexuality, the snowflakes are emasculating him. Since when does being gay, erase one’s race? Oh the logic of homophobes. There have been no shortage of straight white male characters on Star Trek, particularly when it comes to leadership positions so the very idea that this new incarnation represents a sort of race and gender based genocide on straight, het, men in space is beyond nonsense. It’s an affront to everything that Star Trek is, to everything Roddenberry envisioned and to everything it hopes to be. Bigotry and intolerance have no place on any star ship and any real fan would know that. What is almost ironic about these complaints is that Gene Roddenberry’s utopian vision and the inclusion of Star Trek Discovery both merely reflect our reality today - let alone the reality of a distant future. The Federation is not one nation, (or even one planet). The Federation draws from all the people of Earth. And all the people of Earth are most certainly not anglophone white men. There are 7 billion people on Earth today and English-speaking white men make up a very small percentage of them - and there’s no indication from our current demographics of population growth that there’s any likelihood that this would change. Those objecting to the inclusion of Star Trek Discovery speak about a “white genocide” but the only way a Star Trek universe - our future - would include a majority of anglophone white men would be if everyone who wasn’t an anglophone white man were either decimated or severely discriminated against to prevent them working for Star Fleet. And that is only a utopian vision for people who think swastikas make good body art. Even if the Federation didn’t draw from the entire world (which it clearly does and was always meant to from its very conception by Gene Roddenberry) and just reflected the USA, then we’d still be looking at a population that is only 63% - and falling - non-hispanic White. Even then over half the cast would have to be female and nearly half the cast would have to be POC. Diversity isn’t some plot or agenda advanced by some sinister “social justice warriors”. Diversity is our world. Diversity is reality. Diversity on screen is merely not treating cis, straight, able bodied white men like delicate little children and demanding they grow up and deal with the world as it is rather than existing in their precious little bubble in which they’ve been coddled for far too long.